Spring is the perfect time to explore the city or go on an excursion into the surrounding region. In spring, Zurich comes to life again. 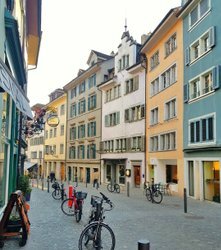 With the first rays of sunshine, the locals flock to the garden terraces and weekly markets – but hiking paths in the region around Lake Zurich also entice people out of doors. In March, many museums show excellent exhibitions. Visitors who prefer to be outside in the fresh air can book one of the many different city tours, visit Zurich’s main tourist attractions, or browse through one of the weekly markets selling fresh produce from the region. The tradition-steeped spring festival, “Sechseläuten”, takes place in April. Flowers, sunshine, and outdoor activities characterize the cityscape. 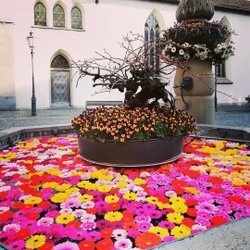 At the same time, the Lake Zurich Navigation Company kicks off its summer season with round trips to Rapperswil, the Town of Roses. In May, people like to spend their time on the roof terraces and in the garden restaurants in the city. Thanks to the mild temperatures, it is a particularly good time to enjoy outdoor sports, such as jogging, mountain biking, or hiking. Everything you need to know about Zurich’s spring festival. 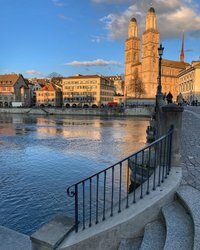 Which is the best season to visit Zurich? This is Zurich in spring, summer, fall, and winter.